Having a dog ear infection or other dog ear problem can cause a great deal of discomfort, so it’s important for pet parents to notice when there’s an issue. 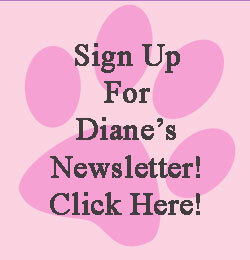 Most pet parents are probably not in the habit of peering into your dog’s ears every day. To help protect the health of your dog’s ears, it’s smart to get into a routine of checking them at least once a week. That way you are able to spot any potential dog ear infections or problems, and you can take proactive measures before these issues develop into more serious dog ear problems. Getting your dog used to having their ears handled as a puppy will make it easier to handle them when checking for or treating dog ear infections in the future. Here’s some advice from veterinarians on how to check your dog’s ears, what to look for and how to keep them healthy. You should check the ears about once a week, especially if your dog has had skin or ear issues in the past. If you have a hanging ear dog breed, be sure to lift up the flap and check on their ears more often to watch for infection or disease. Dr. Loft says you can shave around the ear opening so it’s not as hidden. Before you get out the dog hair clippers, though, make sure to ask a professional groomer or veterinarian how to shave this area properly to avoid rashes or wounds that can lead to infection and irritation. Dr. Goetz cautions that if part of your dog’s ear feels like a pillow or balloon, he might have an aural hematoma. 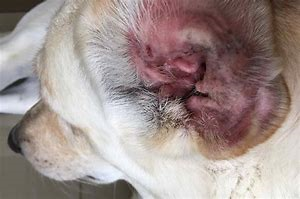 Essentially, the dog has broken blood vessels underneath the skin, which causes the ear flap to start to fill with blood. If you notice that your dog’s ear flap has started to look inflated or swollen, you should take them to your veterinarian right away. They will examine the ear and decide on an appropriate course of treatment. If you notice any of this in your dog’s ears, then it is time to make a trip to your veterinarian. If your dog is excessively scratching or pawing in the ear, tilting his head or excessively flipping his head, it may also be a sign that he is experiencing discomfort, says Dr. Matthew Goetz, DVM, medical director for the Arizona Animal Welfare League and SPCA in Phoenix. If your dog is turning in circles, off balance, ataxic or uncoordinated, tripping over objects, or showing signs of vertigo, it could be a sign of a middle or inner ear infection, which is serious and should be treated immediately, says Dr. Klaus Earl Loft, DVM, a veterinary dermatologist at Angell Animal Medical Center in Boston, Massachusetts. Another sign of a dog ear problem that you may not have expected is if you notice other dogs continually sniffing at your pup’s ear. Dr. Loft suggests that this could also be a sign of ear infections in dogs. If your pup’s ears show any signs of infection, or you’ve noticed any of the behaviors that indicate an infection, you need to take your pet to see the vet before trying any type of treatment at home. “The reason why it’s really important that you go see your veterinarian before you start any medication is that it’s important that the vet be able to look into your dogs’ ear and make sure that the ear drum is still intact. If you have a ruptured ear drum, and you put certain medications in there, it can cause deafness,” says Dr. Goetz. A vet will perform an ear swab first. The ear swab tests for yeast, bacteria, ear mites and white or red blood cells. If you suspect an ear infection, heading to the vet is important. A vet might need to send test results to a lab to determine the best treatment, depending on the infection. Most veterinarians can look at the sample through a microscope and determine the cause of acute and external ear infections. Chronic and middle/inner ear infections often need a culture that is then submitted to a lab for evaluation. Dogs will typically receive antifungal or antibacterial medications, says Dr. Goetz. For a really severe ear infection, Dr. Goetz may prescribe oral antibiotics. If you’re having trouble administering ear medication, Dr. Goetz advises asking your veterinarian about long-lasting ear medications, which can last for 10-14 days. How Often Should You Clean Dog Ears? When it comes to cleaning dog ears, Dr. Loft warns pet parents that too much ear cleaning can actually damage your pet’s ears. “I’m not encouraging people to clean the ear every day and do it as a precautionary, because that sometimes will render the ear more susceptible to maceration [when the skin breaks down after exposure to moisture] or infections,” says Dr. Loft. Although you shouldn’t be cleaning your dog’s ears often or as a preventative method, there may be instances where you will want to clean them. This should be done after you’ve consulted your vet and discussed treatment. If your dog is prone to ear infections, you may want to consider cleaning his ears weekly or monthly. You will also want to take extra precaution if you take your dog swimming or submerge his ears during a bath. Try drying them out afterwards or even cleaning them, since moisture in the ear can cause infection. Most veterinary recommended ear cleaners contain a safe drying agent which allows residual water to evaporate, which lessens the risk of infection after swimming or bathing. According to Dr. Loft, “It’s best to stay away from harsh products like alcohol, vinegar or peroxide, which can make a bubbly sound inside the ear and scare your dog.” To clean your dog’s ear, you should always use an ear cleaner that is made specifically for dogs. Never use cotton swabs on or in your pet’s ears for any reason. This can lead to serious injury and a trip to the emergency vet. Dr. Loft recommends holding the bottle over the ear canal and gently squeezing the solution into the ear. He advises not putting the bottle or tip in the ear directly. Let your dog shake their head. By shaking their head, your dog is bringing the softened wax and debris to the front of the ear canal, which makes it easier for you to clean away. Use a large cotton ball to wipe away all the wax and debris. Be gentle when wiping inside your pup’s ears. The skin within the ear is very sensitive and can be injured if you continually wipe at it. Goetz says having your dog’s ear infections treated early is important for ear health. This is especially crucial for chronic ear infections. Some chronic infections are so bad that surgical removal of the ear canal is the only option left for pain control—total ear canal ablation (TECA) surgery. “If you have chronic ear infections that go untreated, you’re definitely going to be predisposed to having hearing loss earlier in life,” says Goetz. Ingredients: Fractionated Coconut Oil, Water, Grain Alcohol, Essential Oils of Copaiba (Copaifera officinalis) , Lavender (Lavendula angustifolia), Lemongrass (Cymbopogon flexuosus), Melaleuca alternifolia, Citronella (Cymbopogon nardus), Clove (Syzygium aromaticum), Helichrysum (H. italicum), Rosemary (Rosmarinus officinalis Verbenone Chemotype), Lemon (Citrus limon), Frankincense (Boswellia carterii)Canine Ear Spray is intended as a spray to be used with a variety of ear conditions in dogs. Essential oils contained within this product exhibit anti-parasitic, anti-fungal, anti-bacterial, anti-tumoral, and anti-inflammatory properties. In our veterinary hospital, the use of this spray has proven incredibly beneficial for dogs with chronic ear conditions, and especially those that are resistant to many traditional drugs and antibiotics. Many of our patients were near surgical removal of the ear canal (Total Ear Canal Ablation or TECA surgery) prior to starting on the Canine Ear Spray. In clinical use, we see great comfort with the use of the spray and also vast improvements in infection, swelling, and pigmentation. A major benefit to a spray such as this – is that is actually supports a healthy immune system, instead of shutting the immune system off – as in the case with steroid use. There are many factors that may contribute to your dog’s chronic, recurrent, or first time ear condition. Please read more about other changes you can make in your dog’s lifestyle that will help you to combat chronic ear infections and allergies. Shake well before each use. Spray 1-3 pumps into the ear(s), once to twice a day. You are not trying to saturate the ear canal or drip the solution into the ear canal directly. Coating the outer surface of the ear and upper part of the exposed ear canal, will result in the “traveling” of this solution to deeper parts of the ear. Monitor the ear tissues for any signs of irritation, and stop use if noted. Generally this recipe is used for 2 weeks or longer. Work with your veterinarian to determine frequency and length of use, based on response and recheck ear smear results. This recipe has been used long term, for several months at a time or more when needed. However, if irritation occurs, please discontinue use. Although this new formulation of the Canine Ear Spray rarely creates irritations, if it does occur, placing Fractionated Coconut Oil into the ear and onto any irritated surfaces will help decrease any issues. Fractionated Coconut Oil is safe for use in the ear – however we do not recommend filling the entire ear canal with it. If your dog is very resistant to having a “spray” in the ear, you can spray the product onto your fingers and wipe gently into the ear and ear canal.